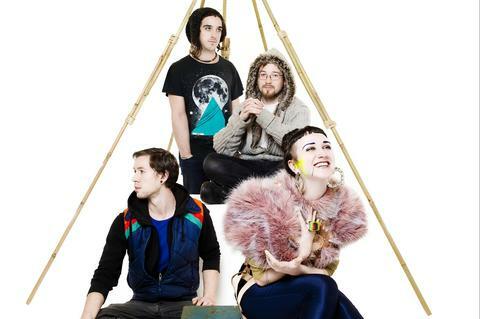 Hiatus Kaiyote is an Australian band with a big, beautiful sound. The lead vocalist is a woman with a voice as big and bombastic as Bjork's but the music is closer to that of The Roots or Robert Glasper Experiment. Performing a blend of jazz, funk, and soul that still has an indie-rock aesthetic might sound like a mess on paper but it's pure magic to my ears. A band like this is the perfect example of why SXSW remains my favorite music festival. Hiatus Kaiyote was not on my radar whatsoever before I started doing research for this year's festival. When I listened to their sample track from the SXSW website I was completely floored. I don't know what I expected them to sound-like based on their name, publicity still and vague genre tag but I did not hear what I expected. I suggest you do as I did and just press play, then tell other people to do the same and hopefully there will be a few of us who get to talk about seeing Hiatus Kaiyote at SXSW 2013. I'm just speaking for me here but I will MOST DEFINITELY be seeing this band at one these two locations next week. I'm leaning heavily toward the official showcase at Maggie Mae's as it also features Flume and Gold Fields. Also, it won't be taking place while I'm at work on Tuesday...so it has that going for it.